Prospective students must submit all documentation by the normal deadline of January 6th, 2012 in order to be considered for enrollment. The Graduate Certificate in Cultural Heritage Studies provides advanced learning for emerging and mid-career individuals involved with a range of cultural heritage fields. The program is designed to strengthen both understanding and integration of cultural heritage, community engagement and sustainable development. It builds knowledge and practical management skills necessary to keep pace in today’s rapidly changing context. 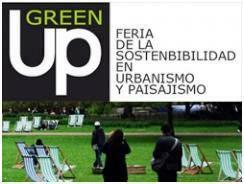 GreenUp es la nueva propuesta de Feria Valencia para el próximo año. Un certamen de carácter profesional que verá la luz en 2012 con el objetivo de ofrecer soluciones sostenibles a la ordenación del territorio, en lo que respecta a la definición de paisajes públicos y privados. En representación del sector y tal y como ratificó en su última reunión el Comité Ejecutivo de Feria Valencia, Gustavo Marina Moreno ha sido nombrado presidente del comité organizador de GreenUp. Marina compaginará este cargo con su actual puesto como presidente de la Asociación Española de Paisajistas, así como jefe del departamento de Paisajismo en Acciona Medio Ambiente S.A.
Recordemos que LAS FERIAS DEL MEDIOAMBIENTE Y ENERGÍA nacían a principios de 2011 en el recinto ferial valenciano para presentar la mayor muestra de la industria especializada en la gestión de residuos (con el certamen Ecofira), las energías renovables y convencionales (Egética-Expoenergética), la gestión del agua (Efiaqua) y, recientemente la ecoconstrucción con la inclusión de la nueva feria Novabuild. Y por supuesto ahora el paisajismo sostenible, con el nacimiento de GreenUp. ASLA has released its 2012 awards call for entries for professionals and students and we would like to encourage you to enter. Award recipients, their clients, and student advisors will be honored at the awards presentation ceremony during the ASLA Annual Meeting and EXPO in Phoenix, September 28 – October 1, 2012. The award winning projects will be featured in a video presentation at the ceremony and on the awards website following the event. Professional award recipients receive featured coverage in the September issue of Landscape Architecture Magazine and in many other design, construction industry and general-interest media. Student award official entrants will receive a complimentary full registration to the 2012 annual meeting, and the official entrant for each project receiving an Award of Excellence (up to seven) will also receive travel and hotel accommodations for the meeting. Stephen T. Ayers, AIA, The Architect of the Capitol, Washington, D.C.
Kathryn L. Gleason, FASLA, Cornell University, Ithaca, N.Y.
Tom Leader, ASLA, Tom Leader Studio, Berkeley, Calif.
Jim Schuessler, ASLA, BNIM, Kansas City, Mo. Sheila A. Brady, FASLA, Oehme, van Sweden and Associates, Washington, D.C.
Paul H. Gobster, FASLA, USDA Forest Service, Evanston, Ill.
Andrew Wilcox, ASLA, California State Polytechnic University, Pomona, Calif. Both the ASLA professional and students awards feature five categories: General Design; Residential Design; Analysis and Planning; Communications; and Research. The Professional Awards also include The Landmark Award, while the Student Awards include the Student Community Service Award and Student Collaboration categories. In need of inspiration? View the ASLA 2011 professional and student award-winning projects. There are many reasons to enter—and we hope that you will! With more than 25 years of experience, Danish office schmidt hammer lassen architects is one of Scandinavia’s most recognised, award-winning architectural practices committed to innovative and sustainable design. The multi-layered exhibition illustrates the philosophy of schmidt hammer lassen architects: that architecture is not the goal in itself; the goal is the change new architecture creates. Common to all the practice’s work is an architectural approach, which creates modern, open, and multi-functional spaces – buildings revolve around people and are not merely an architectonic shape. The selection of architectural projects offers the audience a glimpse of how architecture can add value and positive changes for people, communities, cities and countries. Projects featured in the exhibition are: The permanent premises of the International Criminal Court / The Hague, Urban Mediaspace / Aarhus, City of Westminster College / London, Aberdeen University New Library / Aberdeen, The Crystal / Copenhagen, and more. The practice was founded in Denmark in1986 by architects Morten Schmidt, Bjarne Hammer and John F. Lassen. Today, the practice has grown substantially and employs 140 staff. The group of partners has also grown and now includes Kim Holst Jensen and Kristian Lars Ahlmark along with four associate partners. Day-to-day management of the practice is the responsibility of CEO Bente Damgaard. The practice has offices located in Aarhus, Copenhagen, London and Shanghai and is deeply rooted in the Scandinavian architectural traditions based on democracy, welfare, aesthetics, light, sustainability and social responsibility. Visual materials on the exhibition are available from Beate Engelhorn: be@aedes-arc.de. The School of Architecture + Design seeks qualified candidates for a tenure-track faculty position at the rank of Assistant or Associate Professor at the Washington-Alexandria Architecture Center (WAAC) in Alexandria, VA. This is a full-time, academic year appointment within the Landscape Architecture Program beginning Fall 2012. Responsibilities include graduate-level teaching (design studio plus required lecture/seminar courses) within a professionally accredited landscape architecture program focused on the urban/civic landscape. Candidates should have an established record of teaching, scholarship, and/or practice in landscape architecture, demonstrated excellence in design studio teaching and an interest in working with graduate students in landscape architecture, architecture, natural resources and planning. Applicants experienced in the use of current digital applications in support if teaching scholarly activities, or creative practice are encouraged to apply. The WAAC is located in the historic center of Alexandria, Virginia directly across the Potomac River from Washington DC. As the urban extension of the College of Architecture and Urban Studies, the WAAC provides a unique setting for interdisciplinary design education with access to the rich cultural, research, and outreach resources of the Washington Metropolitan Area (including the Library of Congress, the National Building Museum, the American Society of Landscape Architects, and Dumbarton Oaks). Our student body includes graduate students in landscape architecture, architecture, and urban affairs and planning, as well as undergraduates from a consortium of national and international schools. This mix of students and disciplines is a defining characteristic of the Center. Our setting enables close working relationships between faculty and students and between different disciplines, especially landscape architecture and architecture. Our curriculum facilitates tactile knowledge in design and construction, and emphasizes “making” as a vital component of design education. We maintain close ties to the local professional community through adjunct professorships, student internships, office visits and participation with the ASLA both nationally and locally. The University maintains a strong and growing presence in the National Capital Region, and numerous departments from the main campus have programs offer degrees in the metropolitan area allowing for collaboration across disciplines. Applicants should be willing to engage a broad and diverse students population, collaborate within and across academic disciplines, develop and pursue a research/scholarly agenda, disseminate the results in appropriate venues. Assignments include developing and/or revising courses and curricula, academic and thesis advising, and sharing in other instructional, administrative, and service responsibilities. Landscape Architecture faculty and students at the WAAC are closely tied to the Landscape Architecture Program (http://www.lar.arch.vt.edu) in Blacksburg, who serve on theses committees. Students and faculty utilize both campuses as appropriate to their work. The Landscape Architecture Program is housed within the School of Architecture + Design in the College of Architecture and Urban Studies. Other components of the College include: the School of Public and International Affairs, the Department of Building Construction, and the School of Visual Arts. The College offers thirteen graduate degrees at the Masters and PhD level in addition to undergraduate degree programs in architecture, art and art history, building construction, industrial design, interior design, landscape architecture, and urban affairs and planning. The Landscape Architecture Program offers an accredited BLA program (Blacksburg) and an accredited MLA program (National Capital Region-Alexandria) Advanced studies in landscape architecture occur in the advanced MLA and PhD programs. The program is home to eight fulltime faculty and average student enrollments of 90 BLA, 50 MLA, and 8 PhD students. The Program’s faculty and students form a learning community that fosters independent inquiry in the context of discovery, developing, and disseminating knowledge relating to the profession and discipline of landscape architecture. The faculty is committed to integrating conventional and innovative technologies and skills throughout the curriculum. • Build upon the program’s strategic engagement with government agencies, private and non-profit organizations, and community groups. Required qualifications include professional degree in landscape architecture, with a terminal degree in landscape architecture or a closely related field. Demonstrated ability to teach design in a studio setting. Established record of excellence in teaching, research, and outreach achievement. Applicants with expertise in ecological design, urban landscape design, urban landscape infrastructure , or landscape materiality are preferred. Professional registration and/or the PhD is desirable. Starting rank and salary will be commensurate with the qualifications and experience of the successful candidate. An individual appointed to the rank of associate professor must demonstrate substantial professional achievements, outstanding teaching, creative scholarship, and recognized performance in practice, outreach, or related academic and professional service. Appointment will commence August 10, 2012. Applications will be accepted online at httt://jobs.vt.edu for posting # 0111153. Review of applications will begin on January 15, 2012 and continue until the position is filled. The School of Architecture + Design is concurrently searching to fill tenure-track and visiting faculty positions in the Architecture, Interior Design, Industrial Design, and Landscape Architecture programs. Candidates may apply for more than one position. Please apply to all positions in which you are interested and qualified. Virginia Tech is an Equal Opportunity/Affirmative Action Employer. Städtebau-Stammtisch von Hochparterre und BSLA Was Landschaft ist und sein soll, ist zunehmend umstritten. Ob Landschaftsarchitektinnen, Architekten, Raumplanerinnen oder Naturschützer: Alle beanspruchen die Bedeutungs- und Behandlungshoheit über die Landschaft. Die ersten wollen gestalten, die zweiten wissen es besser, die dritten planen von oben herab und die vierten verhindern. Soweit die Klischees. Was ist tatsächlich wichtig für die hiesigen Landschaften? Und welche Landschaften wollen und brauchen wir? Der Bund Schweizer Landschaftsarchitekten und Landschaftsarchitektinnen BSLA machte einen Vorstoss und schrieb in der Zeitschrift Hochparterre ein «Landschaftsmanifest» (HP 5/2011). Schonen und erhalten, wie im Raumkonzept Schweiz vorgesehen, reiche nicht: «Es braucht die aktive Aufwertung und Entwicklung von Landschaft», so der BSLA. Sein Manifest stiess jedoch auf Kritik: Es sei vage formuliert, bleibe zu offen und vermittle vor allem den Wunsch der Landschaftsarchitekten, überall eingreifen und gestalten zu wollen (HP 6-7/2011). Nun hat der BSLA das Manifest zu vier Forderungen geschärft. Sie lauten: «1. Genügend hochwertige und gut erreichbare Freiräume in verdichteten Gebieten. 2. Keine Richt- und Nutzungsplanung ohne Freiraumkonzept. 3. Die Raumentwicklung ordnet sich der Landschaft unter. 4. Für die Landschaften um das heutige Siedlungsgebiet sind umgehend und unabhängig von laufenden Verfahren Konzepte zu entwickeln und umzusetzen.» Sind diese Forderungen sinnvoll – oder illusorisch? Wie lassen sie sich umsetzen und mit welchen Folgen? Was heisst es, Landschaft «aktiv zu entwickeln»? Und würden flächendeckende Freiraumkonzepte dafür sorgen, dass wir die Landschaft genauso fördern wie Siedlungen und Infrastrukturen? Darüber diskutiert der Städtebau-Stammtisch am 30. Januar 2012 um 18.30 Uhr im Clouds Conference, Prime Tower, Zürich. Hochparterre und der BSLA laden gemeinsam zum Abend ein. Der BSLA stellt seine Forderungen in einem Referat vor. Anschliessend führt Rahel Marti, leitende Redaktorin Hochparterre, das Gespräch mit Maria Lezzi, Direktorin Bundesamt für Raumentwicklung ARE, Lukas Schweingruber, Landschaftsarchitekt BSLA, Anette Freytag, Dozentin für Landschaftsarchitektur ETH Zürich, und Mario F. Broggi, Forstingenieur und Umweltexperte. The International Federation of Landscape Architects (IFLA) is soliciting nominations for its Sir Geoffrey Jellicoe Award. Candidates may be nominated by IFLA Member Associations, delegates, individual members and allied organizations, as well as independent sources. The award recipient will be identified through a nomination and jury selection process. The Award recipient will be notified by the IFLA President and invited to attend the IFLA World Congress, where the winner will be announced, the Award will be presented, and the winner will make a presentation of his/her work at a suitable function in conjunction with the Congress. The 2012 IFLA World Congress will be in Cape Town, South Africa during September 5-7. The IFLA Sir Geoffrey Jellicoe Award was initiated in 2004 on a quadrennial basis. Its inaugural recipient was Peter Walker (USA) in 2005. In 2009 Prof. Bernard Lassus (France) was granted the Award. In 2010 the award was changed to an annual one. The 2011 recipient was Cornelia Hahn Oberlander (Canada). Nominations for the 2012 IFLA Sir Geoffrey Jellicoe Award must be submitted by December 31, 2011. Refer to the IFLA website http://www.iflaonline.org/ for the complete Call for Nominations and submission requirements. Sir Geoffrey Jellicoe (1910 – 1996), IFLA President of Honour, served IFLA as founding President from 1948-1954. He was a trained architect, town planner, landscape architect and garden designer, but his prime interest was in landscape and garden design. Jellicoe was a founding member (1929) and then President of the British Institute of Landscape Architects (the ILA – now the LI) and was knighted for services to landscape architecture in 1979. In 1994, he was given the Royal Horticultural Society‘s highest award, the Victoria Medal of Honour.